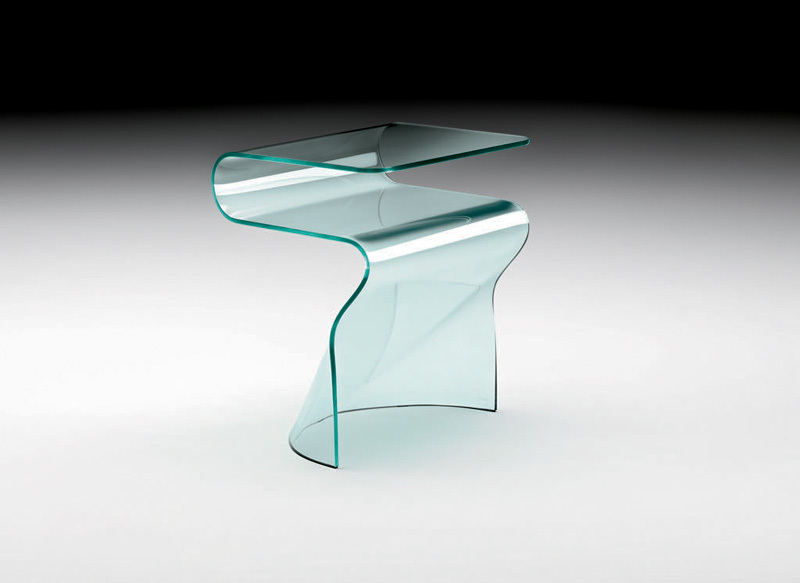 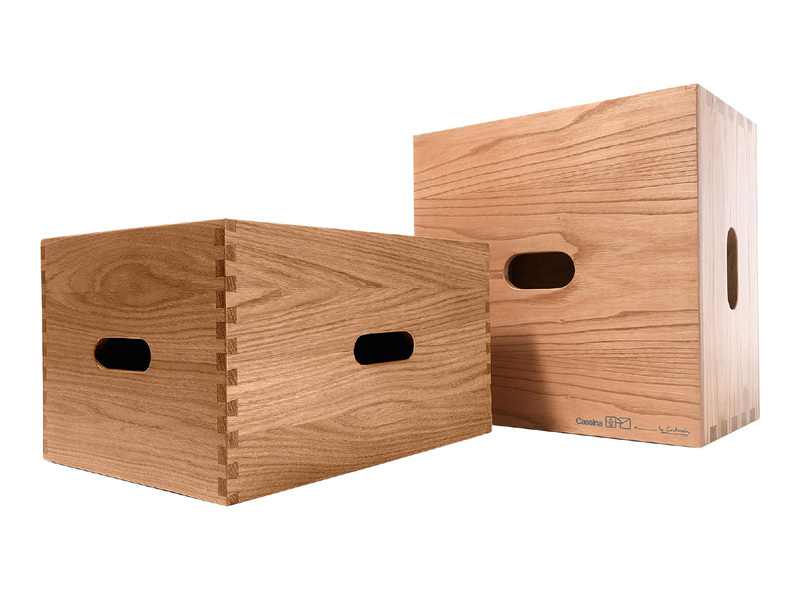 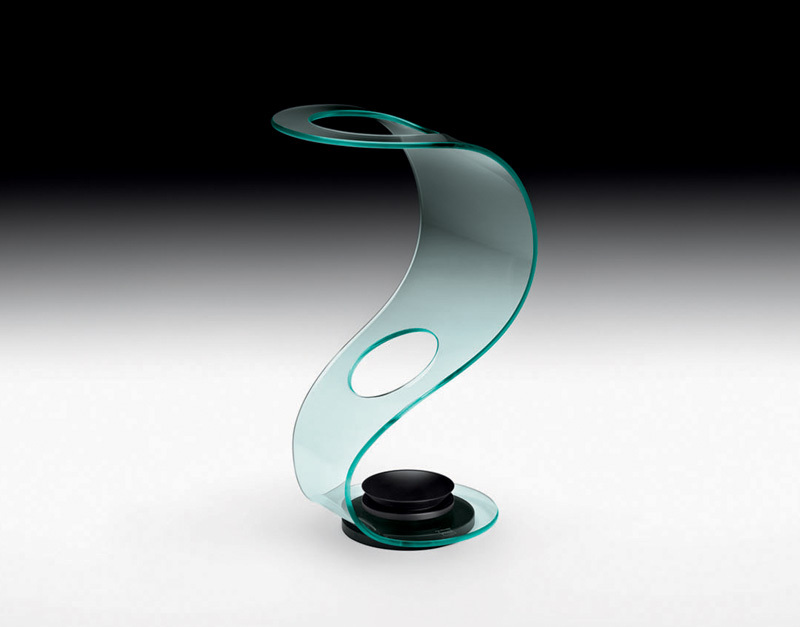 Ron Gilad’s new collection of furnishings, Grado°, underlines the designer’s interest in basic geometric shapes. 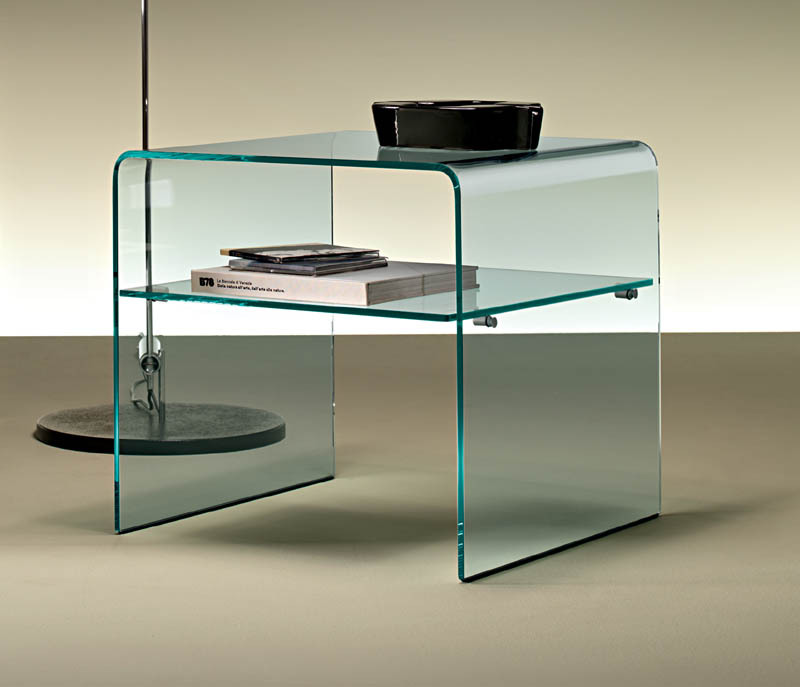 Tables large and small, wardrobes, bookcases, mirrors and shelves play conceptually and materially with revolutionary lements, thereby becoming objects that fascinate and capture our imagination. 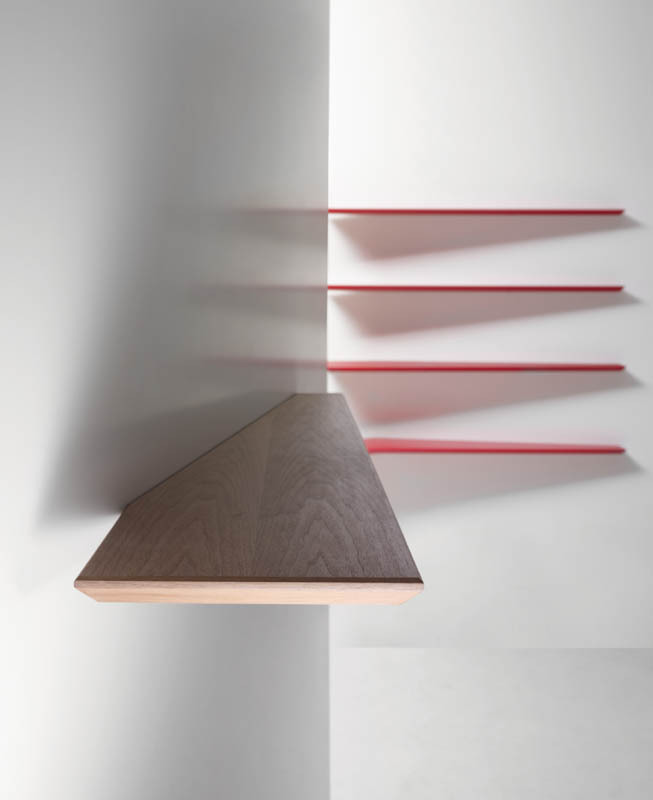 Surfaces are rotated and rounded off; the wooden and glass tables and the bookcases, in particular, create a shift that moves from an angle of 90° to one of 45° without corners; a cube is extracted from its volume, leaving a void emphasized by a mark of red paint. 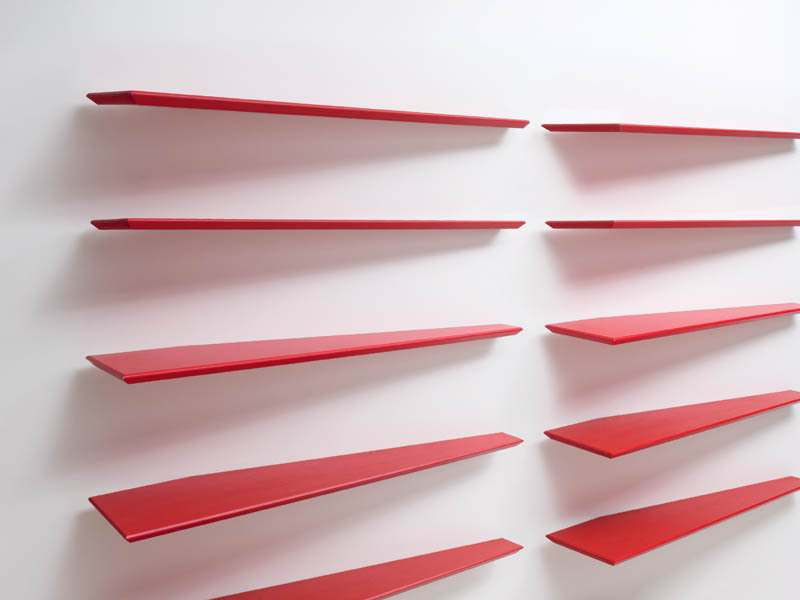 Red shelves penetrate the wall with a passionate gesture that throws our perception of walls and shelves into doubt. 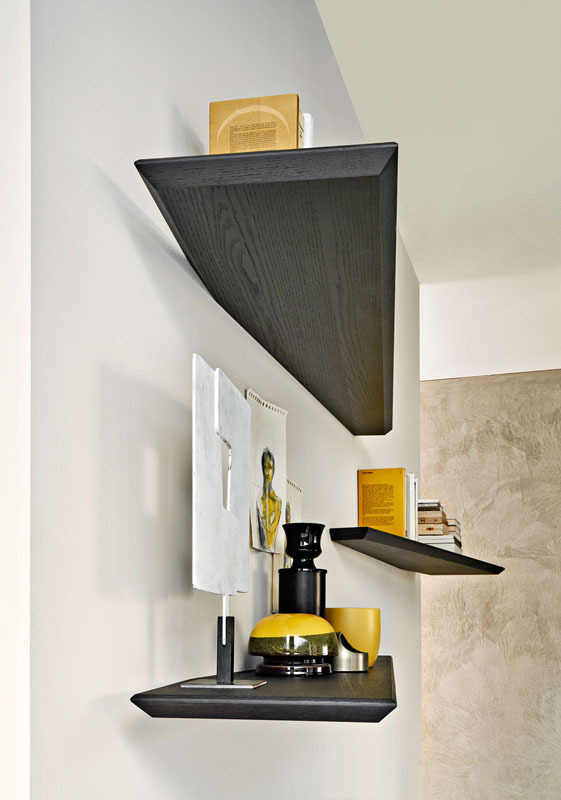 The use of primary colors such as red, yellow and blue reiterates the basic shapes that characterize the collection. 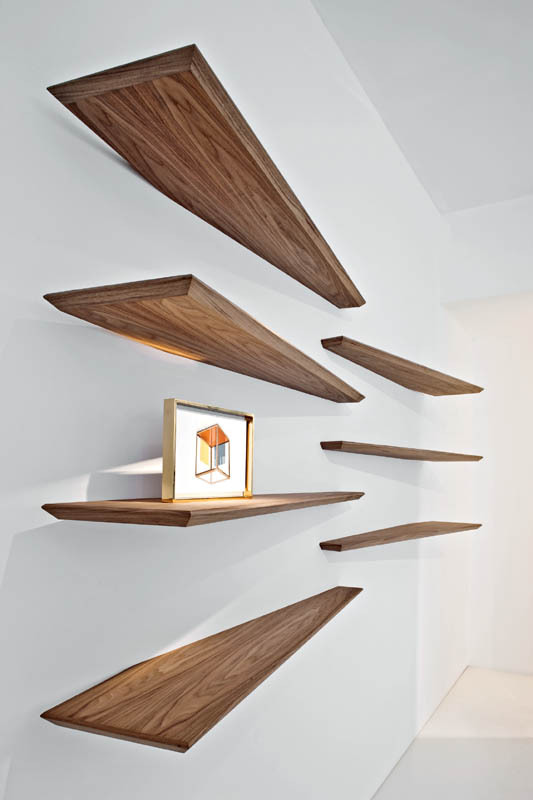 – Finishes: black oak, American walnut, eucalyptus and matt lacquered colours in the Molteni range.